In the new edition of this popular book, Professor Grenville provides a lucid and sympathetic guide to the great political and international changes of the thirty years between 1848 and 1878. 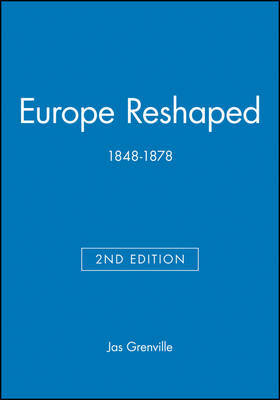 For this edition the author has included coverage of the experience of Britain within his discussion of continental Europe. During this period, Europe underwent a rapid succession of political and social changes. The revolutions of 1848 signaled a massive breakdown of social coherence and government, on a scale not witnessed before. The era that followed was one of authoritarian reform from above and the transformation of government, in all but Russia, from autocratic to constitutional rule. The period was dominated by the divisive force of nationalism whilst the map of Europe was redrawn by the unification of Italy and of Germany. The author examines social conflicts in relation to the regions in which they occurred but also considers movements from a European as well as a local perspective. Yet these events were not merely the outcome of inevitable forces -- personal ambitions also played an important role, and Professor Grenville provides readers with fascinating insights into the characters behind the events, including Napoleon III, Cavour, Garibaldi and the master--statesman Bismarck.